Please share a remarkable leadership secret that had a major impact on an enterprise project you have managed. Please tell the story and the results that you achieved. We received a range of insightful answers that paint a picture of an industry in transition. The essays in this book roughly break down into three categories. Several of the practitioners focused on the new relationship that project leaders need to forge with senior management, how to understand their concerns and communicate with them in any way that works. 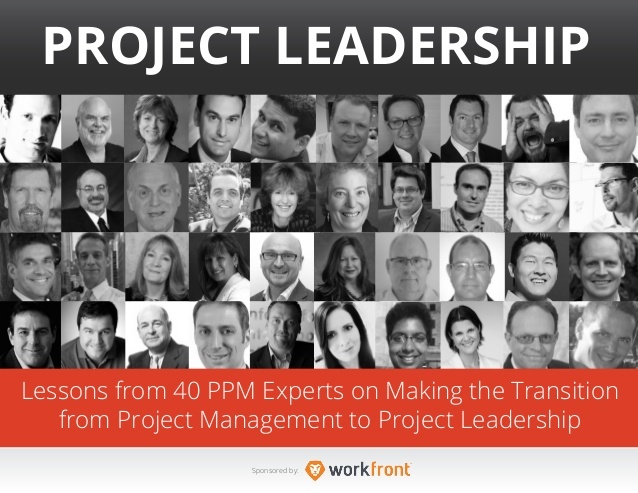 Many PPM experts wrote about leading change and getting teams to work together in new ways. Finally, many of our experts wrote about specific leadership techniques that have helped them clear hurdles and remove obstacles.Making the shift from project management to project leadership isn’t easy, but the rewards can be significant. We hope the collective wisdom and hard-learned lessons contained in these pages will inspire you and help you take your own teams to a higher level.